And the winner is… USAHA Connection! You can watch for forthcoming issues for the latest and greatest of USAHA happenings. The winner of the USAHA logo wear random drawing is Dr. Stacey Schwabenlander of Minnesota. Congratulations, Dr. Schwabenlander! The 122 nd USAHA Annual Meeting was held recently in Kansas City, with almost 1300 individuals in attendance. 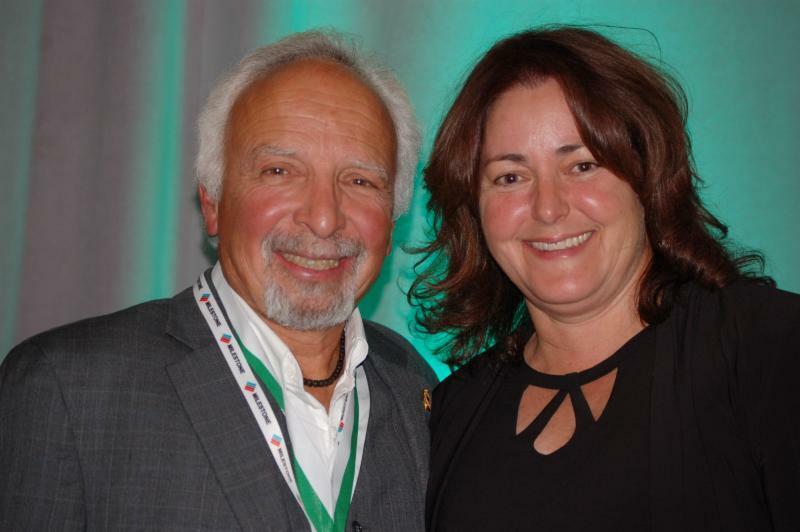 Each year as part of the event, USAHA takes a moment to recognize certain individuals for their service to the organization and the animal health community. Dr. Don Hoenig of Maine was honored with the prestigious USAHA Medal of Distinction this year. He has been a member of USAHA since 2001, He served as a committee chair for 4 years and served as USAHA president 2007-08. He continues to be active in USAHA and has carried the organization’s principles to other areas of his career in service to animal health. Hoenig was recognized for his exemplary and continued service to the organization, and animal related industries. His passion and leadership example highlight his impact to the organization. The USAHA Medal of Distinction is awarded annually to recognize one or more distinguished USAHA members who have demonstrated outstanding leadership, provided exemplary service, and have made significant contributions to the advancement of the Association. Photo: Dr. Don Hoenig (l) with Dr. Kristin Haas. Dr. Jack Rhyan of Colorado was presented with the USAHA Federal Partnership award. Dr. Rhyan’s veterinary career spans over four decades, Dr. Rhyan’s far-reaching contributions in the world of brucellosis and wildlife reservoirs. Dr. Rhyan has led numerous research projects which resulted in more than 60 peer-reviewed publications that provided critical information for regulatory and diagnostic veterinarians. Dr. Rhyan has been with USDA-APHIS-Veterinary Services since 1990, starting at the NVSL and culminating as head of the Wildlife Livestock Disease Investigations Team. In the words of his colleagues, he has been an innovator, collaborator, and leader in the field. This is all we can ask of members of USAHA. We are pleased to recognize his service promoting animal health and regulatory medicine. 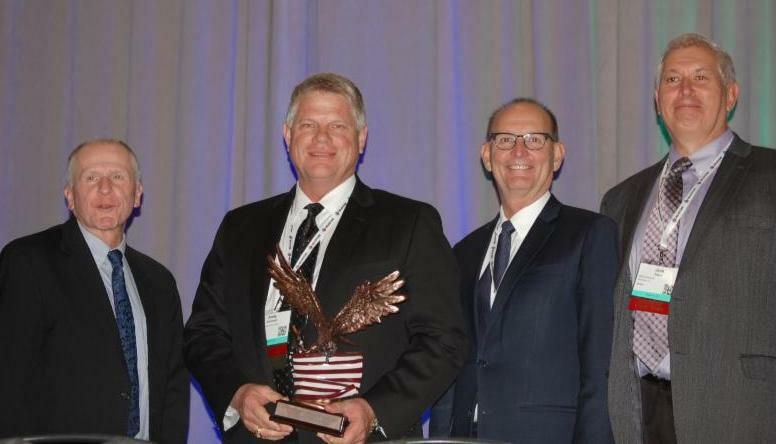 The USAHA Federal Partnership Award is designated for the recognition of a federal employee that has demonstrated commendable service to the betterment of animal health in the United States. Candidates can be employed at any level of an Official Federal Agency Member of USAHA. Photo: Dr. Jack Rhyan (center) with Drs. Doug Meckes and Marty Zaluski. Dr. Andy Schwartz, Texas, was the recipient of the APHIS Administrator’s Award. Schwartz was honored for his work as Texas State Veterinarian, notably leadership on cattle fever tick programs. 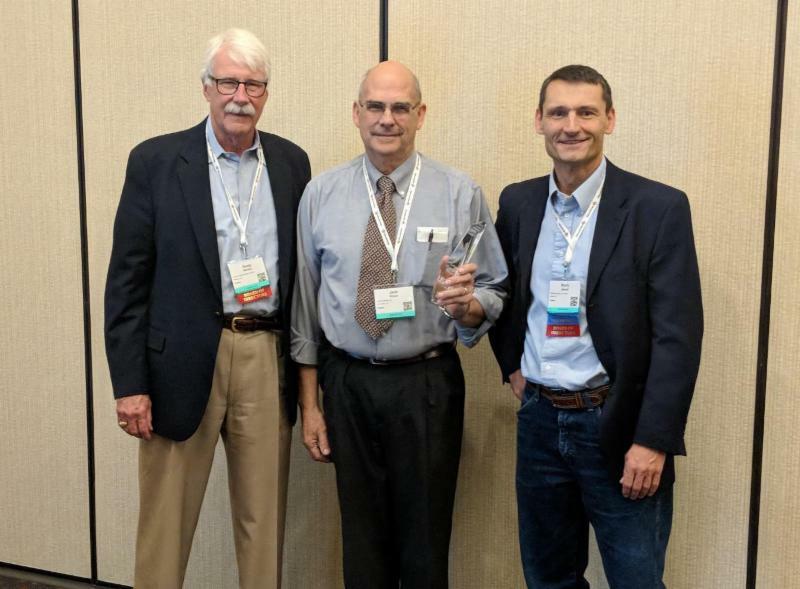 Photo: APHIS Administrator Kevin Shea presents the award to Dr. Andy Schwartz, with Undersecretary Greg Ibach and VS Deputy Administrator Dr. Jack Shere. 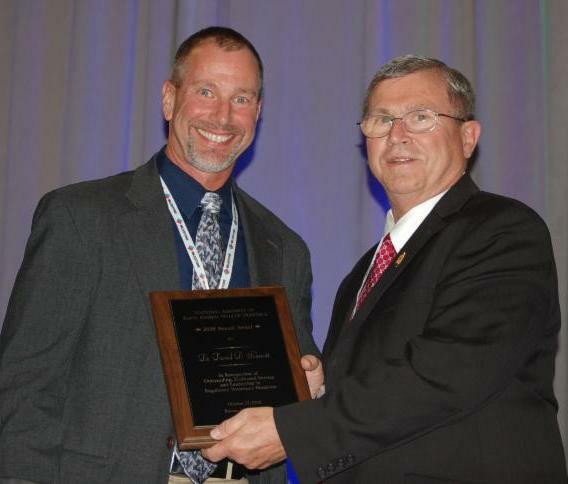 Dr. David Schmitt, Iowa, received the National Assembly of State Animal Health Officials’ Award. Schmitt was recognized for his service as Iowa’s state veterinarian, and contributions of his leadership and expertise to the National Assembly. Photo: Dr. Scott Marshall (l), National Assembly President presents the award to Dr. David Schmitt. USAHA Committees are the foundation of the organization, and their success is attributed to the talented leaders that serve as chairs. USAHA includes 30 committees and subcommittees, requiring a time commitment and dedication to accomplishing the missions of each committee. We recognize each year those chairs that have served a 5 years or are rotating off of their position. 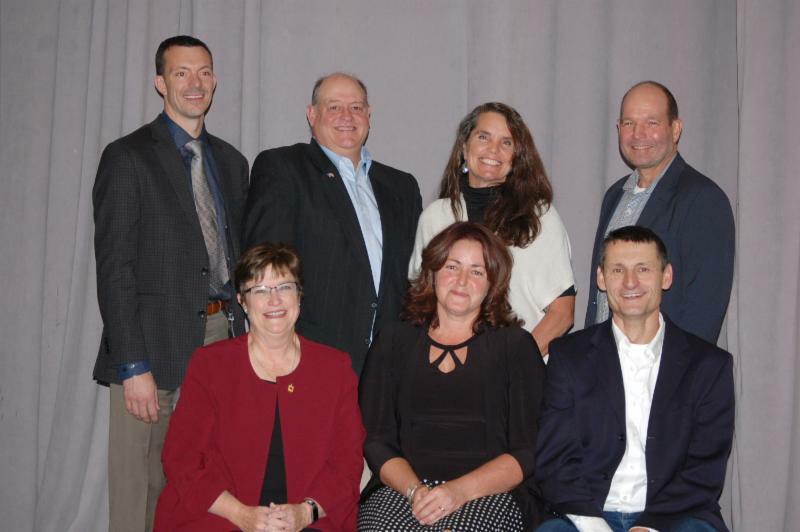 The USAHA Executive Committee, comprised of its seven elected officers and executive director, has it’s 2018-2019 team together, following the election by the membership and approval by the Board of Directors. The Executive Committee meets monthly by teleconference, as well as several face-to-face meetings throughout the year. 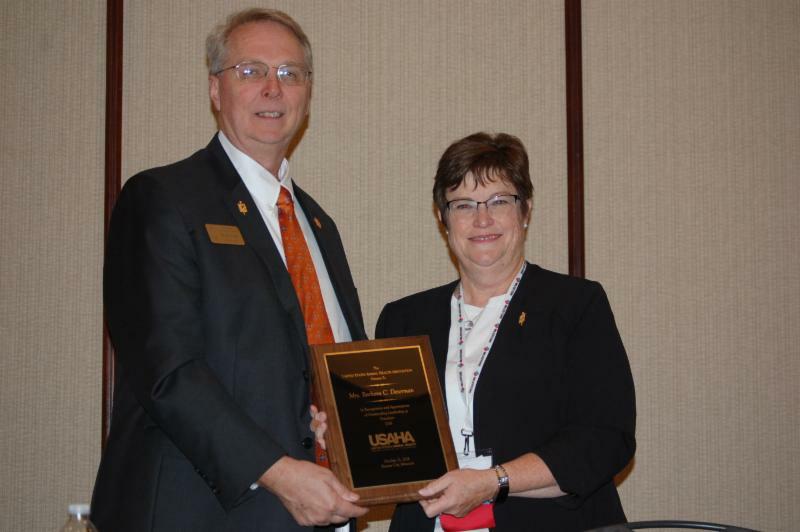 And last but not least, congratulations to Barb Determan on her year of service as USAHA President. Additional thanks also goes to Dr. Boyd Parr, who completes his tenure on the USAHA Executive Committee. Thank you both for your leadership!